Sheet metal guillotining is an effective way of precision cutting metals into desired shapes and sizes. ControlFab has skilled guillotining staff who can manufacture high quality sheet metal fabrication products. With 20 years experience in the industry ControlFab has been providing premium stainless steel products to clients. ControlFab’s professional Sheet Metal Workers are experienced in performing high precision guillotining. Guillotining or shearing is a process used to cut the high quality materials we use to size. Guillotine machines come in different sizes and ControlFab uses only the latest guillotining equipment to manufacture sheet metal fabrication products. 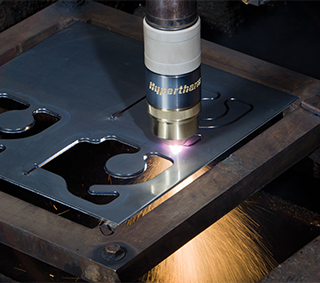 ControlFab guillotine cutting is a quick and cost-effective metal cutting procedure. ControlFab utilises a CNC guillotine to cut up to 4m wide, 10mm wide mild and 8mm stainless steel. At ControlFab, we are proud of the fact we have built and maintained strong client relationships over the 20 years we have been in business. The fact that customers continue to choose ControlFab to manufacture their stainless steel products is a testament to the high quality and durability of the goods we produce in our state of the art machining shop. So when you need top quality fabrication or guillotining, remember that ControlFab is one of Melbourne’s leading sheet metal fabrication companies. ControlFab also manufactures durable stainless steel benchtops, stainless steel grates, stainless steel sink and stainless steel handrail products. Call ControlFab today on (03) 9761 8248 or contact us online to learn more about our guillotining service, sheet metal fabrication, plasma cutting, stainless steel fabrication, metal cutting and stainless steel products.